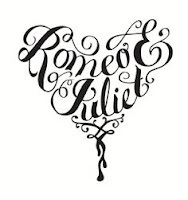 So, let's say you are Romeo and Juliet, two star crossed lovers if there ever were any. You share everything, as young lovers do, including your heroin addiction. Yes you like to trip the light fantastic together. So one day Romeo and Juliet decide today the light fantastic wI'll be tripped. You want to try the new stuff from the new dealer. Little do you know that this new stuff is more potent than you are used to. Juliet passes out. She isn't breathing....no dproblemo!! You whip out your narcan nasal spray, give her a couple of squirts and wa-la! Juliet comes back to life! You live happily ever after....or maybe not. Actually I doubt it. Yes it seems that narcan, that old reliable opioid reverser is available at your local drugstore. Over the counter. Me, I didn't know about this. The interesting thing is the OTC narcan is available in a nasal spray or a self injector. Nasal spray cost? $20. Self injector cost? $570 or so. The injector talks you through the use. Interesting....maybe we shoulder issuing these in the ER. Why is being an ER nurse so hard? I think its because after a while you get so angry. In ER you see suffering. Pain. Terrible tragedies. You see people who through no fault of their own are living really tough lives. You see things other people don't see. It stuns you what a lot of people are going through, what a lot of people live with day to day, whether it be some kind of disease that is slowly killing them, a condition or handicap that they have been born with. You see people whose life completely changed THAT day. They are in shock or denial but you know what is to come and it isn't good. You see people die regularly. Some expected, some unexpected. You hear the families mourn. Then on the other end of the spectrum you see people who, shall we say are life's ineffective copers, to put it nicely. They run in if they vomited once. They are the drug seekers, the alcoholics. They are the frequent fliers. They are the just plain stupid. They are the mean and nasty people. So here you are, this human being, trying to reconcile in your mind the two ends of that spectrum. Inevitably you start to get annoyed and pissed at the ineffective coper group. The time wasters. It's hard to have sympathy for your pimple when I just watched a family mourn the unexpected death of their 50 year old mother. But the thing is, you aren't allowed to be human. You are supposed to have sympathy for EVERYBODY from the pimple to the family of the dead mom. That isn't possible. You try so hard to do it, you even feel guilty because you can't be that person you are "supposed" to be, that Mother Theresa figure that loves everybody. Here's the thing: It is normal to feel the way you do. It is normal to not be able to reconcile the two ends of the spectrum. If you didn't feel that way you wouldn't be normal. Your anger is justified. A lot of the snivellers shouldn't be there and they do waste your time. They take time and space from people who really need care. There is nothing wrong with being angry. have developed is justified, people WILL use you and manipulate you. Those have been earned through experience. I encourage you to not feel guilty. Do not feel guilty because you left that sore throat sitting while you worked up relieving the pain of that kidney stone. If the sore throat is pissed, that isn't your problem. You were putting your attention in the place where it was truly needed. If the sore throat doesn't like it, it' their problem. You are doing your job. You don't have to be nice to mean people. You don't have to "understand" why they are mean. They are MEAN, plain and simple. So you do what you have to do and get out. You don't try to "therapeutically communicate", you try to save your own sanity by spending as little time with them as possible. You are a human being with rights to be treated with dignity. No one gets to yell at you, hit you, curse you, verbally abuse you. I don't care whats going on with them. You have one of the most difficult jobs there is and you are a hero for doing it day to day.